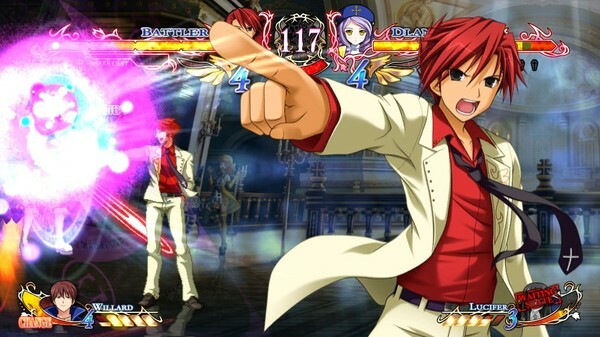 With Umineko: Golden Fantasia‘s release tomorrow, we wanted to take a moment to talk about something exciting for our first ever fighting game release–rollback netplay. While many fighting game fans might already know about rollback netplay, this is a feature that wasn’t originally a part of Umineko: Golden Fantasia. In fact, the lack of advanced netplay is something fairly common in Japanese fighting games. Part of that has to do with the differences between Japan and the rest of the world. In Japan, there’s a big fighting community centered around actual arcade machines, with trial machines making the rounds from the city to city before final public release. Of course, there’s no real need to worry about netplay mechanics when a lot of the play is conducted via directly connected arcade cabinets. Yet that doesn’t mean there isn’t play occurring over networks. In fact, the entire main island of Japan is wired with fiber optics, and the nation itself is no bigger than the state of California, so their domestic networks have a really low latency. This means Japanese developers generally don’t need to worry about accounting for high latency issues, since the ping is so low. 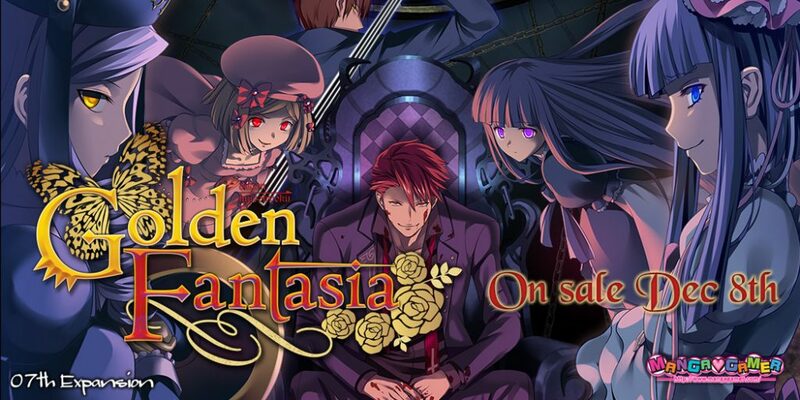 Of course, once a game goes worldwide, this no longer holds true, and something has to be done to account for network issues, which is why we made a point of implementing rollback netplay into our version of Umineko: Golden Fantasia. So ultimately, what is rollback netplay? At heart, it is one method of handling network lag and data loss to ensure an experience that’s as seamless as possible. In any network based game, there’s latency between any two players – essentially, there’s a delay between the inputs of Player 1 and 2 because the data has to be sent over a network. Typically this is a few milliseconds to over 100 ms, and for most games that are slower paced, this doesn’t matter so much. But in fighting games, every frame matters, since reactions need to be fast and immediate. So how is this delay typically handled? Well, a lot of fighting games use some form of input delay for netplay, for example, California to New York might initiate about 4 frames or so of delay. What this means is that both players’ inputs are delayed by the set frame amount, and the game waits until it has both inputs to work with. In terms of player experience, this means that your command to punch, kick, or execute a move won’t actually be executed until the set delay frames after your input. 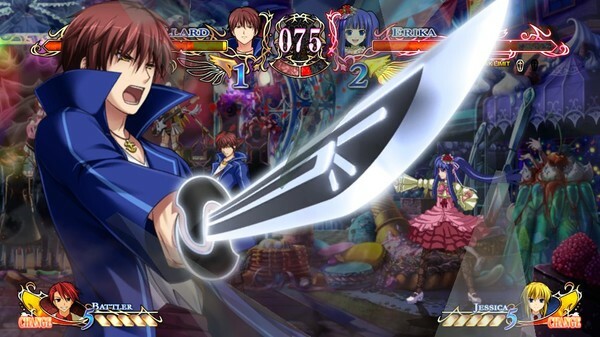 It makes the whole game feel laggy and delayed – because in the example above, it truly is running 4 frames behind your commands, which is extra bad when you realize that 4 frames is the full sequence of a quick attack (2a) in your typical anime fighter like Golden Fantasia or Melty Blood. 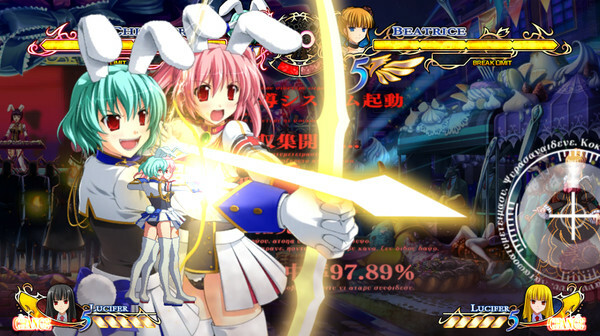 With rollback netplay, the game continues for both players without input delay, and once the inputs are received the game ‘rolls back’ and essentially rewinds with the new inputs. Think of it as retconning the action. So both player 1 and 2 enjoy a lag-free experience, and if the inputs differ from those the game ran with when it rolls back, the game is instantly replayed to account for the difference. Of course, this is happening behind the scenes, and the result is completely seamless. Sometimes under heavy lag this might be noticed as a graphical skip or “rubber-banding” that’s less than a few frames and only by the trained eye. While some may see that as a drawback of rollback netplay, ultimately it’s outweighed by the benefit of ensuring a seamless netplay experience that doesn’t feel lagged, and allows for the very important instant reactions. If you’re interested in more in-depth, technical discussion of input delay and rollback, this is a good source to read more about it! And lastly, don’t forget to stop in to our discord channel and join in the action! Tagged 07th Expansion, Golden Fantasia, Umineko.